Note that the actual plot does not match the data, and neither do the stat values. Everything here is purely for display purposes only. This would have been performed in the realm of survival analysis, looking at overall survival (OS) and progression-free survival (PFS), as you can probably see. Thanks, Kevin. It looks cool. But it is for univariable test? How about multivariable, e.g. BRCA status, Tumor stage and Residual tumor? I recall having a conversation in this regard last year amongst a group of statisticians (i.e., interaction terms in a Cox model - from what I recall, it's a somewhat unexplored area). Thanks. But it looks the reference for each category can not be defined? E.g. Stage I as reference in Tumor stage and BRCA wildtype in BRCA status? Or in above table, the reference was defined individually, which means three testes were performed to generate the table of PFS or OS? 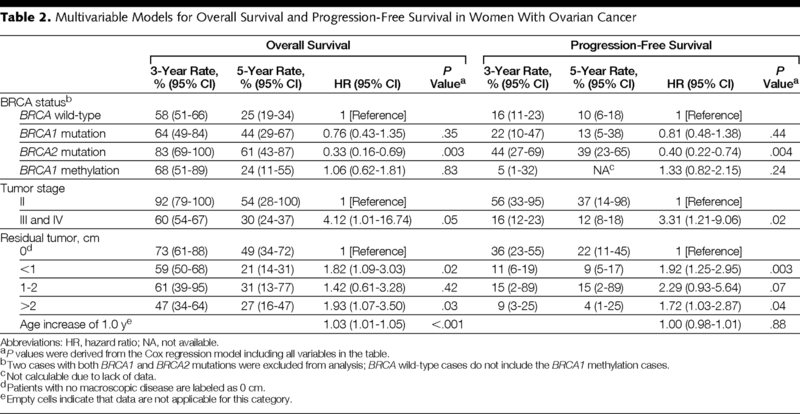 In that table that you posted, the reference levels are 'BRCA wild-type', 'Tumour Stage II', and 'Residual Tumour 0'. They did not have data for Stage I or they just did not consider it for the study. They would have used 6 tests (3 for Os; 3 for PFS) to generate the results in that table. 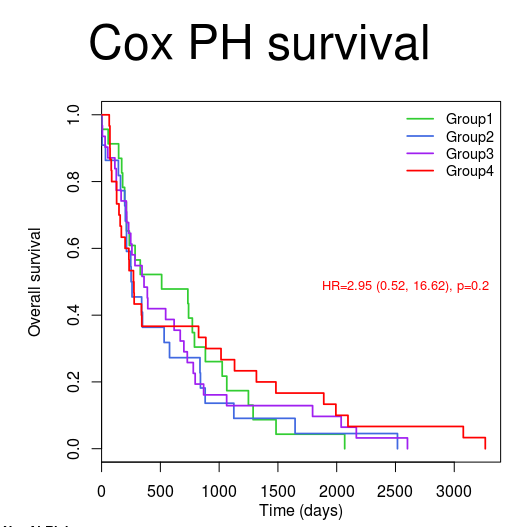 Cox Hazard In R, should pass treatments to the model as a factor? Why use LASSO / elastic net in survival regression?